Success! Paw from Burma raised $1,500 to fund fracture repair surgery. Paw's treatment was fully funded on April 23, 2018. Paw underwent fracture repair surgery. Before surgery, Paw cried a lot because of the pain. Since the surgery, she can now move by herself and crawl again. “In the name of my husband, Paw’s siblings and grandmother, I want to say thank you to all the donors. We are all very happy she could receive treatment,” said Paw’s mother. Paw is an eight-month-old energetic baby girl from Burma. Both her siblings attend school. Her family rents a piece of land, where they grow crops that provide them with food throughout the year. In March 2018, Paw fell off a stack of leaves her father had collected to thatch their house. The leaves were on top of bamboo sticks. When Paw fell, she hit her right thigh on one of the bamboo sticks and fractured her femur. Paw’s thigh is swelling and she cannot move her leg. With the help of our medical partner, Burma Children Medical Fund, Paw will undergo surgery to reset her fractured bones and ensure proper healing. The procedure is scheduled for March 7 and will cost $1,500. Receiving this procedure will allow Paw to heal properly and learn to walk. “I hope my daughter will get an easier life and become an educated person. We will support her in whatever she wants to do. I do not want her to be a farmer like me, because it is a hard and difficult life,” said Paw’s mother. Paw's case was submitted by Bridgitte Agocs at Burma Children Medical Fund in Burma. Paw was submitted by Bridgitte Agocs at Burma Children Medical Fund, our medical partner in Burma. Paw's profile was published to start raising funds. Paw received treatment at Mae Sot General Hospital. Medical partners often provide care to patients accepted by Watsi before those patients are fully funded, operating under the guarantee that the cost of care will be paid for by donors. Paw's treatment was successful. Read the update. Paw's treatment was fully funded. Cheng is a 75-year-old rice farmer from Cambodia. She likes to take care of her 12 grandchildren and enjoys going to the pagoda in her free time. Two years ago, Cheng developed entropion of the eyelids. This means that she has burred vision and irritation in her eyes. She often has pain and difficulty seeing properly. Cheng traveled to our medical partner's care center to receive treatment. On April 3, surgeons at our medical partner, Children's Surgical Centre (CSC), will perform a corrective procedure to repair her eyelids. Now, Cheng needs help to raise $212 to fund this procedure. She says, "I hope that after surgery I will be able to go outside the house by myself and continue going to the pagoda." 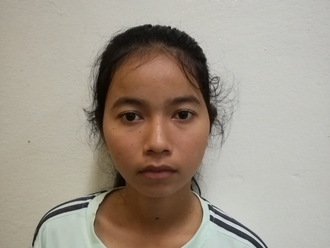 Srey Nuon is a teenager from Cambodia. Her favorite subjects to study in school are chemistry and math, and one day she hopes to become a chemistry teacher. Srey Nuon was born with scoliosis, which is progressing with age, making it difficult to sit in school for long periods, and causing a lot of discomfort. Surgery can help correct the position of her spine, and prevent further worsening of the condition. Fortunately, spinal surgery has been scheduled for March 11. Our medical partner needs help raising $1,500 to fund this procedure. Srey Nuon says, "I hope that after my surgery I will no longer have any pain and I will be able to take care of myself and sleep better." 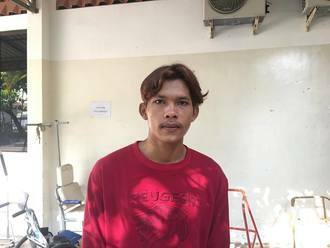 Choy is a 20-year-old construction worker from Cambodia. In his free time, he likes to watch Hollywood movies and go outside to hang out with his friends. Since he was ten years old, Choy had an ear infection. This infection caused the tympanic membrane, or the ear drum, in his left ear to perforate. For this reason, Choy experiences discharge, hearing loss, tinnitus, and itchiness. He finds it difficult to listen to others and his family is worried about his health. 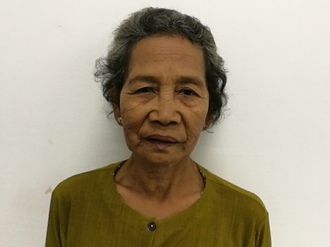 Choy traveled to our medical partner's care center to receive treatment. On April 1, he will undergo a myringoplasty procedure in his left ear. During this procedure, surgeons will close the perforation. Our medical partner, Children's Surgical Centre, is requesting $423 to fund this procedure. This covers medications, supplies, and inpatient care. He says, "I hope that after surgery, my hearing will improve and the infection will stop."